Just like women, a man will see his hormone levels drastically change as he ages. While women completely stop producing estrogen after menopause, men will see a gradual drop in testosterone levels as they get older. This drop in testosterone generally starts shortly after turning 30, but it may take decades before creating any serious symptoms. If you start to experience low testosterone and belly fat, then you are likely suffering from andropause. Andropause causes several problematic symptoms due to low testosterone in the body. This condition is often called male menopause because it mimics the symptoms women experience after they stop producing estrogen. Some of the most common symptoms caused by andropause include hot flashes, irritability, depression, weight gain in the stomach, muscle loss, low libido, fatigue and erectile dysfunction. Most men will start experiencing these symptoms after reaching middle age and will find that low testosterone and belly fat often go hand in hand. Since your testosterone levels are only going to continue to drop over time, you need to seek treatment to eliminate your symptoms. Your treatment will begin by getting a proper diagnosis of your condition. Unfortunately, many of the symptoms caused by a lack of testosterone can also be caused by several other common medical conditions. Our doctor will likely ask you a series of questions to understand the problems you have been experiencing. If our specialist believes that your problems are caused by low testosterone, then they will run a series of blood tests. These blood tests will be able to check for low testosterone levels in the blood while also eliminating other conditions that may be causing your problem. If the blood tests confirm that you are suffering from andropause, then you will be able to begin treatment. The goal of the treatment is to help you feel better, and that may be possible without any medicine. You will start by making a few changes in your normal lifestyle. Eating a healthy diet and exercising on a daily basis are both extremely important when you have andropause. This should help you regain muscle mass, give you more energy and get rid of the fat accumulating on your belly. A healthy lifestyle also makes it easier to sleep at night, which should reduce your irritability and depression. If you are still not feeling right after the lifestyle changes and must continue dealing with low testosterone and belly fat, then you may be eligible for testosterone replacement therapy. Replacing the testosterone your body is no longer producing should help eliminate your troublesome symptoms. Testosterone replacement therapy can be administered through many different methods. They all have their own unique set of advantages, so our doctor will determine which one best fits your body and lifestyle. 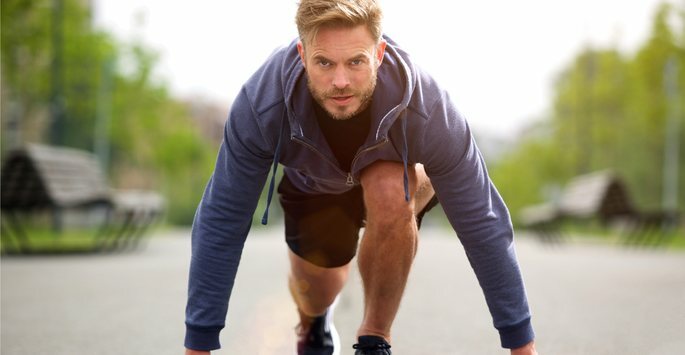 Admitting that you are going through andropause and experiencing symptoms such as low testosterone and belly fat can be difficult for some men, but hormone replacement therapy with the experts at Envoque MD may be able to help you. Contact us at either of our offices in Scottsdale or Mesa to schedule your consultation and learn more!